Hello, I'm Debbie Russ with the BBC News. The Israeli military has launched a wave of airstrikes against dozens of militant targets in the Gaza Strip in retaliation for mortar and rocket fire into Israel from the Palestinian territory. Israel says it's destroyed a training facility belonging to the militant group Hamas in one of its most wide-ranging operations there since the war of 2014. Here's more from Tom Bateman in Jerusalem. Israeli fighter jets bombed a high-rise building in the Shati refugee camp in the northern Gaza Strip. Israel said the building was a training facility for the militant group Hamas. Israel said the wave of airstrikes on Saturday was in response to what it called terror acts at the perimeter fence on Friday and rocket and mortar fire from Gaza. Health officials in Gaza city said two Palestinian teenagers were killed in the airstrikes, describing them as passersby to a building that was targeted. Paramedics in the southern Israeli town of Sderot said three civilians were wounded from shrapnel after a rocket hit a house. Dozens of Nicaraguan students who took refuge in a church after being attacked by the security forces and armed government supporters have been allowed to leave. At least two people were killed during the assault. The Roman Catholic cardinal of Nicaragua Leopoldo Brenes and another bishop escorted them from the church into the capital Managua into waiting buses. The students have been taking part in protests against the government as the country observed a general strike. 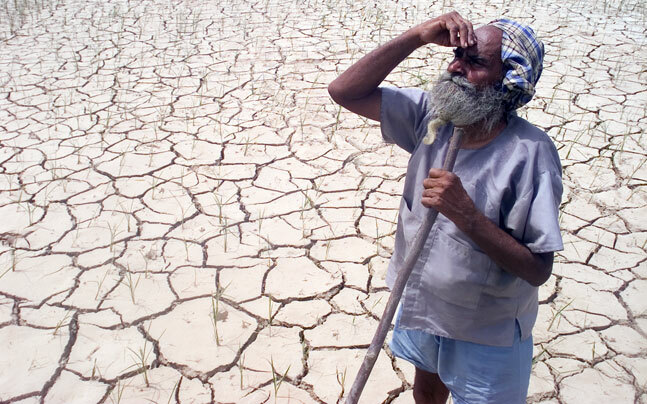 The authorities in the Indian state of Maharashtra say 639 farmers have killed themselves in the past three months due to debt and crop failure. Drought and a falling prices for their produce as cited as other reasons for their despair. Here is our South Asia editor Anbarasan Ethirajan. About every thirty minutes a farmer takes his own life in India and state of Maharashtra tops the list in the number of deaths. Opposition parties say the numbers are on the rise and the Maharashtra government's current policies are not helping the agrarian community. Farmers sometimes take out loans from money lenders who charge high rates of interest. When the crop fails, they end up deep in debt. Unable to settle, some kill themselves. Activists say India's commendable economic advancement in the past two decades seems to have bypassed its millions of farmers. BBC news.